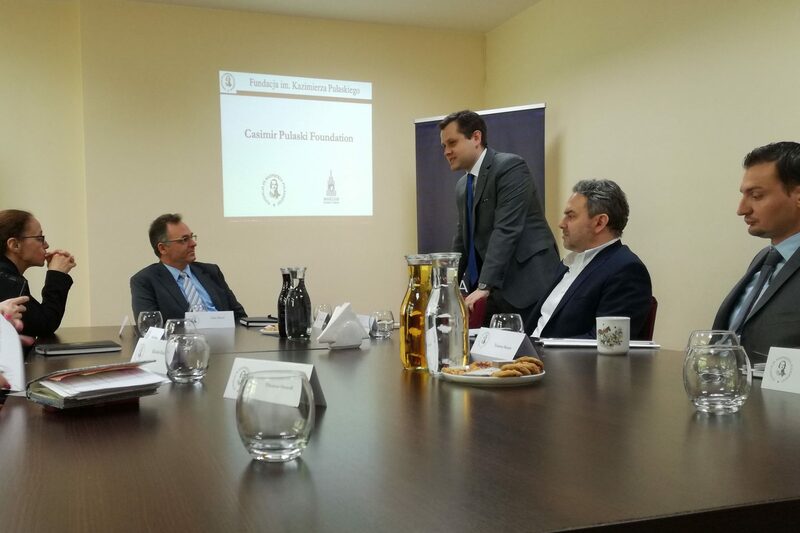 Today on May 9th, the Casimir Pulaski Foundation hosted a round table discussion pertaining to cyber security and Israel specifically, the Foundation welcomed Ruth Cohen-Dar, the deputy ambassador of Israel to Poland and Iddo Moed, the director of cybersecurity at the Ministry of Foreign Affairs in Israel. The discussion primarily focused on the role cyber security must play in maintaining the integrity of elections and democracy as a whole, given the string of recent cyber-attacks across the world which succeeded in undermining the electoral process in several nations. In 2010, Prime Minister Benjamin Netanyahu emphasized the need for a national approach to cyber-security, not only given Israel’s foreign policy situation but also given its high level of high tech exports and its extremely developed economy. The reach a breach in cybersecurity could have is immense, as an attack in Warsaw could hit Washington in the same second. This not only underscores the need for international cooperation, but also the need to develop necessary human capital to ensure that national cyber security is as modernized and efficient as possible. Furthermore, in order to ensure maximum technological development, the Israeli approach has been the multi-stake model. This model highlights the need for both private and public sector cooperation in order to ensure that national security can always remain in pace with the development of new technology and avoid obsolescence. The development and cooperation with the free market has and remains critical. The discussion then moved to entertain the international dimension, Director Moed emphasized that Israel is looking for Bi-Lateral cooperation with various partners to preserve democracy , thus, in this respect Israel has many current and potential partners around the world. In a similar fashion to Israel, Poland lives in the shadow of a neighbor with a history of aggression where relations remain tense. Poland must remain vigilant and actively work to enhance its cyber-security program to form a deterrent against potential foreign or domestic aggressions. Israel remains today the most targeted country in terms of cyber-attacks, hacktivists, jihadists, anti-Semites and foreign powers repeatedly have targeted Israel in an effort to undermine its democracy and the Israeli state as a whole. Due to these aforementioned threats, it became critical for Israel to develop its cyber security program as far as it did. Israel remains a valuable partner to Poland, and cooperation between these two states is as necessary as ever, to counter the threats of tomorrow.